I still remember reading A Boy Called Bat. It was summer of 2016 and I had received an e-galley (electronic early copy). I read it on my kindle app while working out at the gym. I often have a hard time falling into books that I'm reading electronically - I don't connect with them as much. But this one was different. This one I knew was special. The crazy thing was I had to wait until the following March to share it with students. Since its publication, I've spent a lot of time sharing it with readers and talking to them about it once they've read Arnold's beautiful words. It was even on our Mock Newbery list this year and Debbie at Walden Pond Press made sure we had plenty of copies to share with our readers! Now, it's time to celebrate, because we have more Bat to love! The second book in the irresistible and “quietly groundbreaking”* young middle grade series starring Bat, an unforgettable boy on the autism spectrum. When Janie gets a part in the school play and can’t watch Bat after school, it means some pretty big changes. Someone else has to take care of the skunk kit in the afternoons. Oh, we so need more Bat! Bat gave us the perfect window and mirror into life with autism. 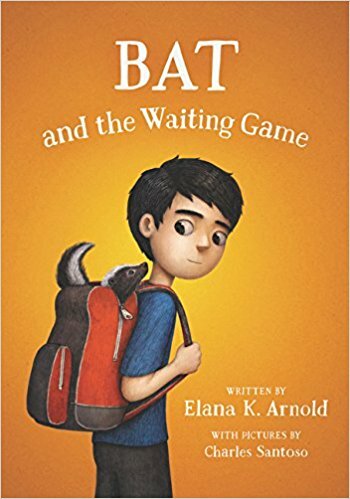 Now the autism spectrum is wide and long and a person with autism may look very different than Bat's high functioning ways, however, for many readers, it gave them an inside look at the way autism can affect thinking, muscle control, and everyday social situations. Arnold navigates this very well and Bat's autism is an important part of the book, but does not take over the story. We also see Bat have more social time with his friend, Israel. The reader usually understands Bat's social flaws and hopefully this will bring out empathy in the reader. I love that this book series can help educate about autism while drawing us into such a heartfelt story. Kids recognize differences but they also can empathize with the situations Bat is in - when he gets into a fight with a friend over reasons he doesn't even recognize, when he needs some extra understanding at school, when navigating sibling relationships. These stories create everyday mirrors into lives and lets readers know it's ok to have these feelings. Elana K. Arnold grew up in California, where she, like Bat, was lucky enough to have her own perfect pet - a gorgeous mare named Rainbow - and a family who let her read as many books as she wanted. 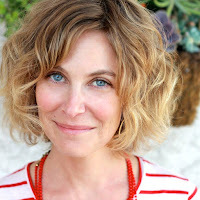 She is the author of picture books, middle grade novels, and books for teens, including the National Book Award finalist title What Girls Are Made Of. 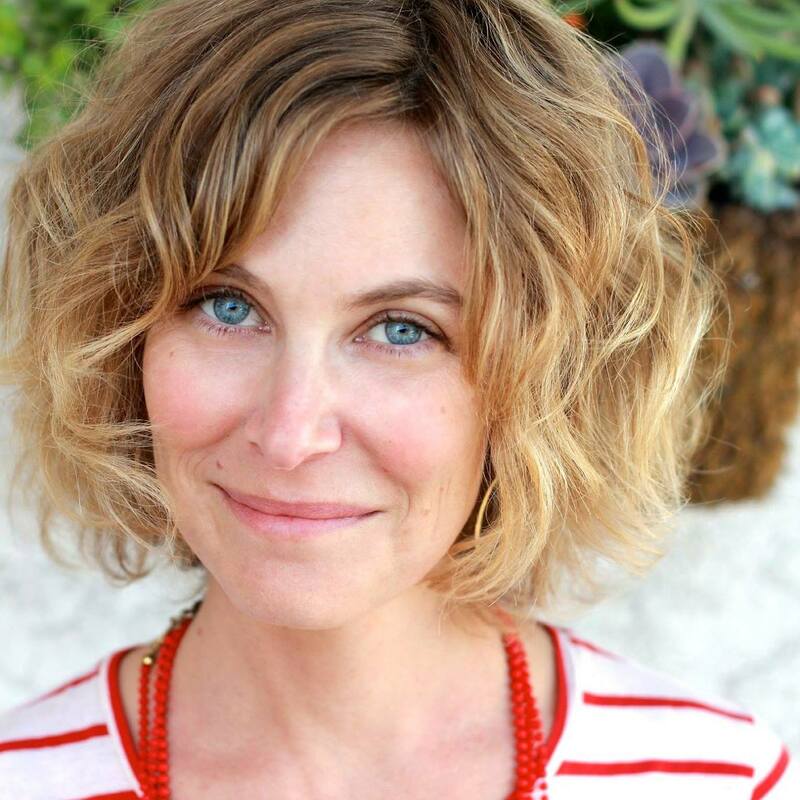 Elana lives in Huntington Beach, California, with her husband, two children, and a menagerie of animals. She calls the “Bat” series for Walden Pond Press “books of her heart.” You can find her online at www.elanakarnold.com. Don't miss the amazing and comprehensive teaching guide here. The generous folks at Walden Pond Press are donating a copy of Bat and the Waiting Game to a reader (US/Canada resident). The giveaway will be open Wednesday, March 21st at noon. Good luck, and as always, happy reading!